To schoolchildren of my generation, Sir Francis Drake was a hero, the epitome of English sangfroid, insisting on finishing his game of bowls before dealing with the Spanish Armada as it sailed up the Channel. It didn’t happen quite like that, of course, but who cares. The sea captains who forged the first imprint of Empire under Elizabeth the First have gone down here as great patriots, but are known to children in schools throughout Iberia and Latin America simply as pirates. In fact I remember looking through the history homework of my friend Nelson Pereira’s younger sister Elsa, while staying at their house outside Lisbon in 1983 and being shocked to see Drake being vilified in categorical terms. I imagine he doesn’t get much of a press in Irish school history books either, as he was involved in a massacre of 600 people during the English enforced plantation of Ulster in 1575. But that is how it goes: history is an imprecise art, dependent entirely on the perspective of the historian. Rather like fiction, in fact. 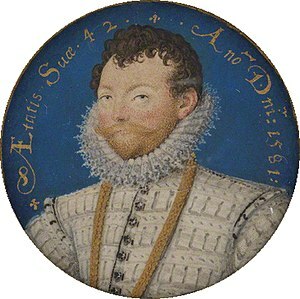 Francis Drake was born in Tavistock, Devon in around 1540 and went to sea at an early age. In 1567, Drake made one of the first English slaving voyages as part of a fleet led by his cousin John Hawkins, bringing African slaves to work in the ‘New World’. All but two ships of the expedition were lost when attacked by a Spanish squadron. The Spanish became a lifelong enemy for Drake and they in turn considered him a pirate. In 1570 and 1571, Drake made two profitable trading voyages to the West Indies. In 1572, he commanded two vessels in a marauding expedition against Spanish ports in the Caribbean. He saw the Pacific Ocean and captured the port of Nombre de Dios on the Isthmus of Panama. He returned to England with a cargo of Spanish treasure and a reputation as a brilliant privateer. In 1577, Drake was secretly commissioned by Elizabeth I to set off on an expedition against the Spanish colonies on the American Pacific coast. He sailed with five ships, but by the time he reached the Pacific Ocean in October 1578 only one was left, Drake’s flagship the Pelican, renamed the Golden Hind. To reach the Pacific, Drake became the first Englishman to navigate the Straits of Magellan. He travelled up the west coast of South America, plundering Spanish ports. He continued north, hoping to find a route across to the Atlantic, and sailed further up the west coast of America than any European. Unable to find a passage, he turned south and then in July 1579, west across the Pacific. His travels took him to the Moluccas, Celebes, Java and then round the Cape of Good Hope. He arrived back in England in September 1580 with a rich cargo of spices and Spanish treasure and the distinction of being the first Englishman to circumnavigate the globe. Seven months later, Elizabeth knighted him aboard the Golden Hind, to the annoyance of the king of Spain. In 1585, Drake sailed to the West Indies and the coast of Florida where he sacked and plundered Spanish cities. On his return voyage, he picked up the unsuccessful colonists of Roanoke Island off the coast of the Carolinas, which was the first English colony in the New World. In 1587, war with Spain was imminent and Drake entered the port of Cadiz and destroyed 30 of the ships the Spanish were assembling against the British. In 1588, he was a vice admiral in the fleet that defeated the Armada. Drake’s last expedition, with John Hawkins, was to the West Indies. The Spanish were prepared for him this time, and the venture was a disaster. Drake died on 28 January 1596 of dysentery off the coast of Portobelo, Panama. Apparently, before dying, he asked to be dressed in his full armour, which reminds me of the death by suicide of Captain Hans Langsdorff of the Graf Spee (see post of 22 September). He was buried at sea in a lead coffin. Divers continue to search for the coffin. 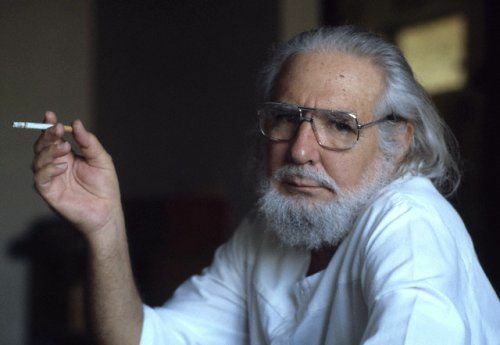 Last year I was looking at some of the lesser-known historical poems of the great Nicaraguan poet Ernesto Cardenal (born 1925), Sandinista, theologian, rebel priest, and translator of Ezra Pound into Spanish. I was struck by the rather Poundian flavour of some of these, and particularly taken by the following poem, written in the voice of a Spanish sea captain and based on a true account, in which Drake comes across as quite an honourable fellow, in spite of his terrible reputation. and they might as well have been sleeping, for they did not reply. Another voice shouted over: FROM WHERE DOES YOUR SHIP SAIL? and I was taken to the Captain. What gold or silver does your ship carry? And I told him: None at all. None, my lord, only my plates and cups. and he said he was, the very same. and he ordered me to sit at his side. adorned with his coat of arms. which he says were given him by the Queen. and takes with him painters who make pictures all along the coast. and he is one of the greatest sailors on the seas. and pennants of many colours at the mastheads. The ship was a golden dragon among the dolphins. and he spent the whole day, until nightfall, inspecting my cargo. with navigation charts and a Chinese pilot they captured . . .
interesting; could your friends who live outsde Lisbon be somewhere west of that city? right on the edge of the Ocean? and could that be where Drake landed when he attacked Portugal and ripped up the coast up to Carcavelos or so? …. could that be Cascais?